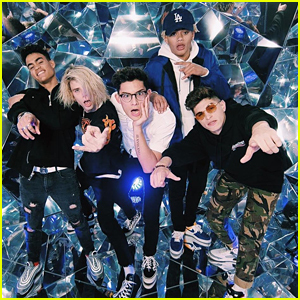 PRETTYMUCH is stepping further and further into the spotlight, so it makes sense that former One Direction member Louis Tomlinson would give his labelmates advice about being in a prominent boy band. 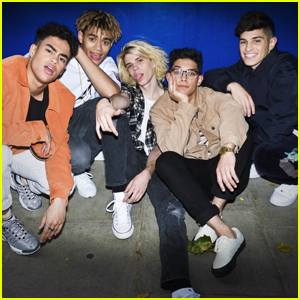 Edwin Honoret, Zion Kuwonu, Nick Mara, Brandon Arreaga, and Austin Porter talked to Pop Shop Podcast about their exchange. 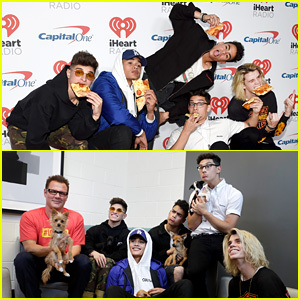 PRETTYMUCH brought pizza slices with them to the 2017 iHeartRadio Music Festival red carpet! 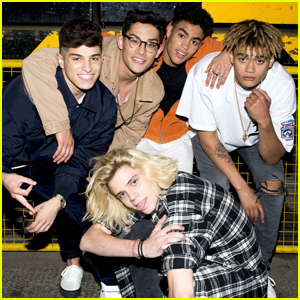 Simon Cowell‘s boy band – Edwin Honoret, Zion Kuwonu, Nick Mara, Brandon Arreaga, and Austin Porter – stepped out for the event at T-Mobile Arena on Friday (September 22) in Las Vegas. They also snuggled with puppies backstage. “Yo it’s PUPPYMUCH,” the group captioned one of the puppy pics on Instagram. We seriously couldn’t decide which photo was cuter, so check them both out and decide for yourself! Watch the guys dance along to French Montana at the festival below. 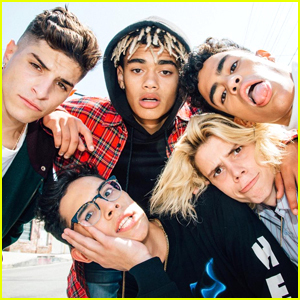 PRETTYMUCH Debut First Ever Music Video For 'Would You Mind' - Watch Now! PRETTYMUCH have just debuted their first music video!!! The guys — Austin Porter, Brandon Arreaga, Edwin Honoret, Nick Mara and Zion Kuwonu — dropped their “Would You Mind” (also their debut single) video today and it’s so good! 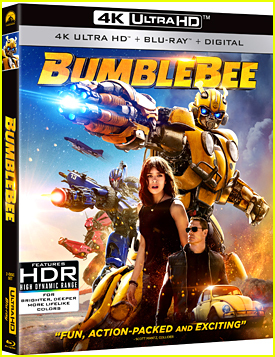 The video was directed by Emil Nava and filmed in Los Angeles. PRETTYMUCH are working hard on their upcoming debut album, and working to make it perfect for all their fans. The guys — Austin Porter, Brandon Arreaga, Edwin Honoret, Nick Mara and Zion Kuwonu — chatted with JJJ about what’s going on in the studio with them right now and what fans can expect on the album. 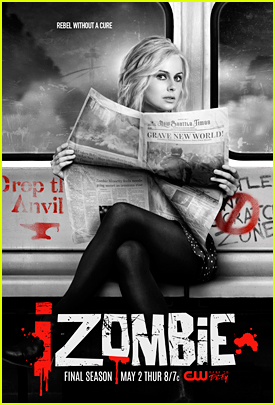 “We want to have songs where you can play them and you can fall in love, but also dance at the same time,” Edwin shared. PRETTYMUCH also reveal that their inspirations come from everywhere. From Bell Biv DeVoe, to The Weeknd to even Montel Jordan. 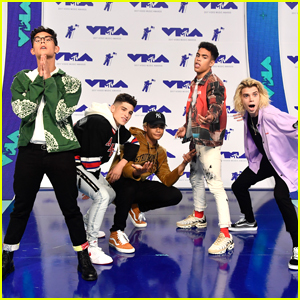 For as long as we can remember, we have had boy bands around, and yes, we obsessed over each and every one of them; and it’s the same story for PRETTYMUCH. But these guys — Austin Porter, Brandon Arreaga, Edwin Honoret, Nick Mara and Zion Kuwonu — are different from all the rest. How so? Listen to their debut single “Would You Mind” right now! Imagine this — you’re just playing solo music and all of the sudden you’re in a five-piece boy band. That’s almost what PRETTYMUCH went through and the guys — Austin Porter, Brandon Arreaga, Edwin Honoret, Nick Mara and Zion Kuwonu — are dishing all about how they gelled together. “We bonded like glue,” Austin tells JJJ exclusively. However, it wasn’t without its’ challenges. They also had to used to sharing things too. “Just getting used to what we were ok with and what we weren’t,” Brandon adds. We’re glad it did work out — because the guys are about to get a huge boost at the Teen Choice Awards, where they’ll be performing next weekend. If you missed it, you can listen to their debut single “Would You Mind” right now!